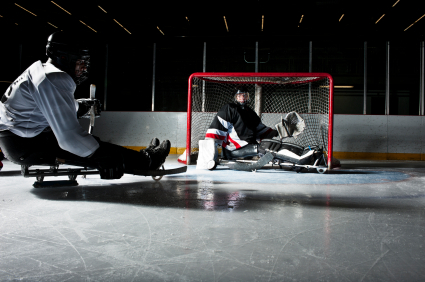 Wheelchair athletes and teams at local and regional levels typically have to fend for themselves when it comes to ferrying equipment and players to sports venues. Many adaptive sports require wheelchairs or other equipment specially designed for maximum maneuverability, physical movement, and safety. The wheelchairs, in particular, are not made for standard, day-to-day use and must be transported to and from events along with the athlete in an everyday wheelchair. For a wheelchair sports participant or the parents of a wheelchair athlete with a substantial amount of equipment, wheelchair vans can easily accommodate a wheelchair user, adaptive equipment, and passengers—and you don’t necessarily have to purchase one! As you’d imagine, these vans have specially designed wheelchair ramp access and seating, which can be customized for your needs. 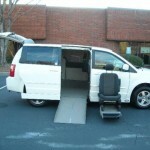 Most wheelchair van conversions have cargo space for equipment and seating for other passengers. If you have multiple athletes and/or considerable equipment (handcycling, sled hockey, several sports wheelchairs) to get from here to there, a full-size van might serve you better, but for other sports (basketball, soccer, softball) for which less equipment is required, an accessible minivan can provide space for one or two wheelchair athletes, additional passengers, and gear. 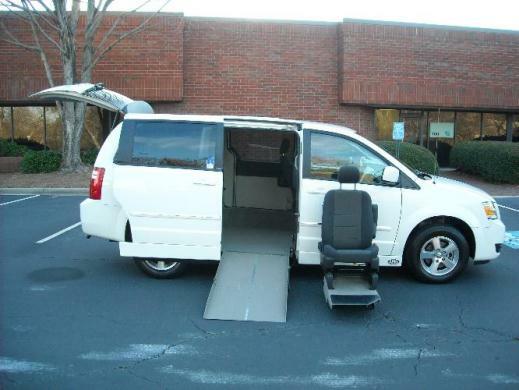 When considering an adapted minivan for wheelchair athletics, give some thought to the exit/entry ramp, which can be either on the side or at the rear of the vehicle. Depending on your sport, one style might be more appropriate than the other. Adaptive seating for accessible vans allows you to configure the cabin seating (including the location of the wheelchair user) to maximize the space for passengers and sports gear. To every sport there is a season, which means you don’t have to buy a mobility van if you’ve already got accessible transportation during the off-season. Most non-professional sports have relatively short seasons, which means you’d only need the assistance of an accessible van for three or four months—so simply rent a van for the season. Most online and local wheelchair van dealers have rental vans for short-term or long-term periods. As a long-term renter, you’re in the perfect position to negotiate a super deal. If you rent an accessible van from the same mobility dealer season after season, it’s likely you’ll start getting outstanding bargain rates on your annual rental—and saving money is always in season! Susan Hawkins BA Journalism/Georgia State University I’ve been a writer on a variety of subjects for decades. My extensive experience with family and friends dealing with mobility issues goes back to college, when one of my “little sisters” in my sorority became a person with paraplegia as a result of polio. (She taught me how to use the hand controls on her car, and we took a trip to New York City!) Today, as the content writer and video producer for AMS Vans, Inc., an online, local and national dealer of high-quality, affordable wheelchair accessible vans, I’m learning more every day about wheelchair accessibility, and I feel privileged to share what I learn with this growing community. At home, I spend time with my husband and our two German shepherds. I’m a huge Atlanta Braves fan, and I especially enjoy reading, live theater, autumn, and pushing the “adventure” envelope. Susan Hawkins Content Manager/Video Producer 678-387-6637 http://www.amsvans.com/ Follow us on Facebook and Twitter! Is It Time for Me to Use an Accessible Van? It’s great how all these popular sports are still available for wheelchair users. I like how paintball is even gaining strides! Thanks for sharing.